Dissenting members ask APS to put their policy statement on ice due to Climategate | Watts Up With That? I’d show you the APS logo, but they are so [insert your own adjective here] that they demanded (in writing) the last time I used it that I not show it to anyone here. December 7, 2009 in Politics, Science. I agree with the sentiments but I do not think that it helps scientific credibility to have ages of the scientists added up to make 223yrs. Their lives were experienced in parallel not serially ! Too late IMO, Copenhagen is going to happen, and its going to cost us all. Well, that is assuming we all dont die from CO2 poisoning first. Having someone from ExxonMobil is a mistake. The Alarmists will have a field day with that. Sorry, guys but all you in the FF industry are going to have to keep distance from the rest of us who have nothing to do with the FF industry. Threatening to withdrawal financial support may or may not be included in the request. Some risk-adverse universities may decide that it’s better to be safe than sorry. More might follow after the first one or two. It really could snowball – just like companies which dropped Arthur Andersen as their auditor after the Enron scandal. I agree with the sentiments but do not agree with adding up the the lives of the scientists to make it look like the experience is cumulative unlike real life when the lives are experienced in parallel. I would expect that from a local newspaper reporter, not from this esteemed scientific group. We use to trust the MSM but they got in bed with the politicians. Now they lie or hide stories so they can control what we think. Those who still think do not trust them anymore. We used to trust most scientists but many of them are now in bed with the politicians too. They will lose our trust in the same manner. I am ‘skeptical’ that we can trust any one any more. And then to have explained to us the process whereby the conclusions are drawn. This is nothing more than the process normally used, for example,for a new medicine or laundry detergent. It is what I expect for the MPG figures for a car. Why should climate science be different ? Do not tell me I am too stupid to understand it. Do not tell your friends to hide the basic data from me. Obama has listed CO2 as a threat to society to get around Congress and the Senate. US is in the process of an illegal global government takeover. :-)). But this is fine, since the IPCC AR4 and other assessments are not saying the evidence is (100% conclusive (or even 90% conclusive) but just “likely” that modern is warmer than MWP). So, yes, it should be possible to find some subsets of data where MWP and Modern are comparable and similarly for some seasons and regions. And as you’ve pointed out before, if any season/region is comparable (or even has MWP>Modern) then it will probably be the northern high latitudes in summer time (I think you published on this, suggesting that combination of orbital forcing, land-use change and sulphate aerosols could cause this for that season/region, is that right?). 100% conclusive (or even 90% conclusive) but just “likely” that modern is warmer than MWP. What, just likely that modern warmer than MWP, are we spending Billions on (just likely), I thought the science was settled and it was AGW. Really, Richard? You never use gasoline? Fertilizer? Heating oil or natural gas? Plastic? Electricity generated by coal or methane? Tell us how you do it. Who is they ? Lindzen & others ? How about “Lindzen and others ask APS to put its policy statement on ice due to Climategate” ? Climategate is in danger of fizzling out, in my opinion. There is an urgent need for a new whistleblower to expose more underhanded and fraudulent behavior and practices within the man-made global warming community. Any dirt coming from within NASA, NOAA or similar would be welcome. Of course, most of the other pseudoscientists in this cabal would have deleted all sorts of compromising emails and documents from their servers by now. Its sad that fossil fuel experience works as some sort of disqualifier, especially now that we know (due to the CRU leak) that the warmers had their hands out for FF money. This is the sad state of affairs today, optics are more important than substance. That’s why IPCC can claim 2500 scientists without people questioning the number, despite the fact that, as I understand it, a fraction of the number actually write the report. People today are window shoppers, they want nicely bundled sloganeering, and don’t have time for in depth analysis. Our betters in the global eco-sci elite know that, and, sadly, prey on that. Spearheaded by Lindzen? Why didn’t he sign it? I’m still curious about how all these policy statements come about. Does someone contact the APS and these other organizations and ask them to publish an opinion? (If so, who?) Or it is just business as usual for them to come up with position statements on a range of issues? Re: Roger Cohen signatory – One would hope that physicists would be interested in the scientific issues rather than the presentational ones. And then Arthur Anderson changed their name to Accenture and is still very much alive and living. Unfortunately, no amount of fact will sway the political and religious zeal to ram this green agenda where the sun don’t shine. The AGW cult never was interested in facts. Why should we be surprised that facts don’t make a difference now? This is strictly about power and political momentum. Our only hope is to retreive sanity from the trash bin in 2012. Even then, It will take decades to recover. I agree. The title was slightly discombobulated. Did Prof.’s Austin, Lewis, Happer, Gould and Cohen check this out with Charles Johnson and his littlegreenfootballs experts first,,,, this action just could end up with Austin all being baned from Charles bolg. 2. Fig. to postpone acting on someone or something. I know he keeps pestering you for an answer, but we’ll just have to put him on ice until we have more facts to go on. Let’s put this project on ice till we find out how well it’s financed. I disagree. The only reason that there is a FF industry is because it is absolutely necessary. Are there any alarmists out there who do not use anything derived from fossil fuels? How many of them walked to Jokenhagen? I think the only way to get around this, is to introduce a new organization and pull away as much members as possible from APS. A total boycott will make them change their mind. We all know this about much more than taxing carbon emissions. This is about our future and our freedom. We really need tougher measures to beat this pack of cheats and liars. This whole thing just makes me sick. The self righteous environmentalists, and not a work about real tangible pollution in years. The EPA has not done squat. Now they are telling us that CO2 is a poison. All the money we have wasted on this crap and now they have the nerve to say our breath is pollution, while not doing one dang thing about real pollution. And do not even have the moral honesty to say there’s not one thing we can do about it anyway. Claiming they want to save the planet. Not one word about all the real pollution, all the real things we can fix. What a bunch of lying, immoral, worthless hypocrite excuses for life. “and not a – word – about real tangible pollution in years”. Which fraction did they contact ? Even the most respected emeriti probably couldn’t sway the APS , given how deep in the tank they have shown themselves to be recently . Face it , AGW has becomr the cause de jour , and that’s where the glory and funding lies . On the other hand , I wish Lindzen et al the best of luck . Sorry for my cynicism . 2- I’d show you the APS logo, but they are so [insert your own adjective here] that they demanded (in writing) the last time I used it that I not show it to anyone here. You science guys are in the same scenerio as the politicians are, as per the manner of attack, the optics and narrative. You cannot be nice, you cannot be fair, you have to grab them by the groin. I am Canadian. This foucking country is full of bleeding hearts but that’s not me and like you I am swimming upstream. It’s “Chicago” out there, and you guys are worried if someone’s “oil” association is listed as a member of our team. We need every able bodied sane person available in this strugle. Some result will come from the CCCC immediately and, whatever it is will definitely cost the world’s citizens catastrophically. On the other hand the chances of CO2 us dying “…from CO2 poisoning first.” – not on this planet. If you want try Venus, but I’m betting you’ll burn up before you get a chance. Those challenging AGW alarmism represent the entire spectrum of parties. I thought XOM had completely jumped ship to the AGW side. Realistically, they are playing both sides. The more we can gain public support from groups (or split them) from the AGW side the better. That will give us a chance to more publicly discredit the “Consensus” AGW ploy. XOM, and other FF companies have been producing much of the “green” advertising over the last year, in self defense. Having them publicly on both sides, as well as academics and researchers, will necessarily focus attention to the science – game winner. It will raise the public’s curiousity, if it is doesn’t drive them away – but I believe that the impending bankrupting price-tag for “green” (low/intermittant) alternatives will keep hold of their interest. “I’d show you the APS logo, but they are so [insert your own adjective here] that they demanded (in writing) the last time I used it that I not show it to anyone here. Bwahahahaha! That one is so much better! Their old one has been sullied anyway by their blind adherence to AGW pseudo-science. Huh? Who cares what the knuckle-dragging AGW/CC morons “seize upon”? Of course they are going to use their usual ad hom attacks. They don’t have science on their side so they have to resort to logical fallacies to try to support their arguments. Nobody but the most ardent Kool-Aid -sloshed AGW faithful are taken in by them. >> And then Arthur Anderson changed their name to Accenture and is still very much alive and living. No they did not. Accenture was the name chosen by Andersen Consulting to distance themselves from the Andersen brand after the demise of Arthur Ansersen. Why don’t we ask the most brilliant mind of all times, the theoretical physisist, Professor Stephen W. Hawking concerning the crap math when it comes to co2’s ability to heat the atmosphere? There is a reason why the extractive industries hire the best geoscientists (including geophysicists) . In fact , industry tends to hire the best scientists in most fields . The rest usually wind up either working for the government or in academics . At least until they can score a job in the field . The main reason I cancelled my membership with APS was their position on AGW. There just isn’t enough data…and to discount the influence (output fluctuations) of the sun…is just ignorant. I do not disagree that human impacts are cause local and in some cases regional temperatures (clearcutting/urban heat islands, etc.). I do not disagree that humans have increased CO2 levels…but water vapor hold heat better than CO2. Lets ban boiling water for pasta instead. Of course change all vehicles over to hydrogen would cause a huge increase in water vapor…..hmmm. Exxon = kryptonite – DOA. Oh, yeah, they’ve made that unavailable. Any action attempted by this EPA on this “finding” will “find” itself in Federal Court. For many years. In fact the EPA climate personnel will be found closely allied with the corrupted CRU/GISS personnel causing heads to roll in DC. All those years of rigging the peer review process must have paid off. This is an account of scientific opportunism and the misuse of mathematical models in pursuit of political ends. Although my entire professional career was more closely related to Electrical Engineering than to physics, my formal education is in physics. I used to be proud to call myself a “physicist”. When the APS insulted Lord Monckton with its rude treatment of a paper a subdivision of the APS asked Monckton write, my “pride” started to dwindle. When the APS was asked to modify its statement about AGW and declined to do so, whatever pride I had disappeared. The letter of Dr. Austin, Dr. Lewis, Dr. Happer, Dr. Gould, and Dr. Cohen resuscitated some of my pride. Please drop these gentlemen an E-mail to let them know they are appreciated and not alone in this fight. I quit APS a decade ago because it seemed to me that they had very biased views. Almost sorry I did then, because it means I can’t quit now! Yep, they just pushed the self-destruct. You’re dead wrong. Accenture was Andersen Consulting the consulting firm. The auditing firm was Arthur Andersen, and they are dead. Did you even do 10 seconds of research before sticking your foot in your mouth????? That might not be a good idea as Hawking has his own math credablity problems. Kinda depends on what court hears the case though. Then come the appeals, and finally the Supreme Court. In the meantime, I wouldn’t hold my breath about the courts stopping the EPA while it works its way through the appeals process. Assuming this works it way as fast as the last CO2 case (where the Supreme Court agreed that the EPA has the authority to what it just did), we have at least until the end of Obama’s first term. Don’t get me wrong – I really hope this works – I’m just trying to inject a little realism into the discussion. Give it up, Keith. They were in court AGAINST each other battling over the name “Andersen.” They were different entities, and now Arthur Andersen is gone. Anderson CPA’s were famous for being the auditors of Enron. Enron was famous for fraud in addition to starting the global warming gas legislation. anderson consulting was somewhat separate and did the IT work for Enron and was audited by anderson CPA’s. When you take the CPA exam, it is followed by an ethics exam and it reeked of conflict of interest. The current Climate data mess is equal in confluict of interest. Peers review their own work and as a fraternity co-author research together. Juliet Eilperin, environmental reporter at The Washington Post. Michael Mann, director of the Earth Systems Science Center and a professor in the department of meteorology at Pennsylvania State University. Carroll Doherty, associate editorial director at the Pew Research Center for People and the Press. Did APS ever actually ask their membership which way to jump? Unfortunately, neither the current version of the WSJ nor the Open_Letter version of it has the subtitle. Without such qualifier, it becomes perfectly legitimate for the Real Climate blog to claim that Climate Science is of course not fully settled like most other scientific disciplines. I have already written to Roger Cohen of the Open_Letter website to remind him of the missing qualifier, but its worth mentioning it here too. Below are two links; the Lindzen article as it is on the WSJ now, and a version with the subttile. Cheers. I don’t like the insinuation that an industry scientist is “bad”, but a Government or Academia scientist is “good”. Each individual has their own biases and paradigms — the core of Climategate is the forcing of the data to support the Government’s need for a “crisis” to secure funding for themselves and academia. 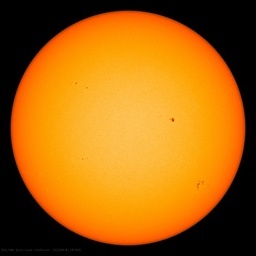 Without the “crisis” of “unprecedented” warming leading to reverberating feedback mechanisms and “catastrophe” — the ongoing scholarly discussion of climate would be debating the role of CO2, resiting weather stations, and trying to model the potential effects of solar minimum. Thank you Exxon for not going GE/BP and inventing cap and trade so you too could profit from this false crisis. Smokey, I’m refering to having specific people connected to and paid by the FF industry trying to influence a science organization to change its policy. The alarmists will just blow it out of proportion and claim the entire skeptical movement is paid for by Exxon. Which we are not but that won’t stop the alarmists from lying, which they do already, but no need to give them any more ammo that doesn’t really exist. Yeah, I know you alarmists are reading this too. Interesting discussion on Iain Dales blog re the Global cooling scare in the ’70s. The whole world is watching you, not just physicists. Has the physics community verified the climate models? If so, I haven’t seen it. Please, all physicists, make your voice heard. If all of the physicists say it is so, then who am I ? I know I’m late to this party, but I can’t resist referencing the old ant on a log analogy. The log, “climate” is doing its thing. The ants “us” think we can control it or are responsible for it. We even think we know how it works, and can “model” it to conform to our wishes. Before you know it we hit a rock or a natural swell. Well, the log survived, so the “model” says we must recant our inappropriate behavior that “caused” the problem. Of course the reference point is a “model”. The “model” has never been fact checked against, unmodified, objective data, or at least proven that it can accurately project forwards, as well as skillfully backcast answers. So, we guilt-ridden ants continue on our log, comforted by our backcasting models that can’t predict the next rock or natural swell, but believing that we should now pay through our nose for this guilt, and transfer our treasure around the log to help the “agents” (AG) who say they represent the interests of the other ants on our log. Gosh, don’t we all feel better on our log? What’s the next rock or unexpected swell going to do to the log? Well let’s ask the “model”??? Seriously, ExxonMobil: Who thought that would help? A good idea in that you have provided a “Perry Mason Moment,” but that is about all. But beyond that, you have shown that even the words from one of the greatest physicists the world has ever known, can be flawed. Comparing Earth’s future….to Venus….is absurd in the highest degree. So… what is your point, Nick?? Are you trying to cite one of the world’s great anomalous intellects, on your side for your cause?? Point taken. But you must stop short on reason when you equate his “Venus” prediction with reality. CAGW is one thing [but many of us do not buy it because the “A” in CAGW has only been around *in force* for the past 150 years]….but Venus…is quite another. So you are saying that one of the greatest minds in civilization, that, regardless of his brilliance, when he makes an outrageous, outlandish, and non-physical claim of Earth will become Venus…that such validates the CAGW claims??? Or are you just having fun here?? Regardless, do not misrepresent what is taking place here. There are people that are concerned for CAGW [like you]. There is at least one of the world’s top intellects saying that we will become like Venus….and getting quoted and re-quoted all over the planet for saying so. It is ludicrous to think that our opportunistic homo sapiens, after climbing from trees a few score thousand years ago, are the dominant forcing agent of the planet, in light of the fact that the planet has catastrophically warmed and cooled a gazillion times over the eons. At worst, AGW is real [it is most likely a myth however]. At best, the world is varying, like it always does. At the absurd: The world might turn to Venus. And monkeys might fly out of my arse. On Thursday and Friday, December 3 and 4, a number of APS members received email messages from Bob Austin, Hal Lewis, Will Happer, Larry Gould, and Roger Cohen regarding Climate Change. Please be assured that these were not official APS messages, nor were they sent with APS knowledge or approval. A number of our members have complained about this intrusion. We are continuing to investigate how the senders obtained APS member email addresses. If you have additional questions, please contact us via webmaster@aps.org. As others have noted, some of the wording and details of this letter are not helpful. Also would not be helpful if they ‘spammed’ APS members to send it out. Makes it all look very desperate. And, by-the-way, what happens when we reach a falls? The APS, like many other professional bodies, has forgotten that science isn’t about consensus, or chasing the next research dollar, it is about finding the truth. There are so many holes in the ‘standard’ theories of the different disciplines in physics that a fresh look needs to be taken and scepticism, honesty and observational skills need to be reinstated as the driving force. Politics and consensus science are poor bed-fellows, lets hope the open letter to the APS membership sparks a return to integrity. The Climategate debacle is a good example of what happens when this is lost. This press release was clearly written in a hurry. Climategate refers to the release of emails and other documents. Are the professors claiming that the release of the emails is a scientifc fraud? Unsurprisingly Wikipedia is also incorrect. Andersen Consulting split from Arthur Andersen in 1989. Not very convincing, are they? the last guy, well you know. So that makes 4 people, out of 46,000 members, which never worked on this topic in their entire scientific career… As I said, not very convincing! To me, he just lost all credibility, what a dribbeling idiot! I changed my mind and did not attend the winter meeting of my own beloved AAPT last winter because I was embarassed with the way APS was sucking up to Al Gore and the pseudo science he represents. You turned our joint meeting into a pseudo science media circus. If APS is not willing to require the CAGW political movement to make proper use of scientific method, the method that we teach to our high school and college students as central to the progress of science, than you are causing great harm to the future of science for the questionable return of being politically correct. Your policy statement is harming the scientific and moral authority as well as the research interests of your members and needs to be revised or discarded. If he was right about Will Happer, then he must be right about Hawkins also. I’m a Fellow of the APS. I signed the email asking for a re-consideration of the society’s statement. I don’t have the logo handy, or I would put it on this email. “Physicists are not expected to cheat.” No one is expected to cheat. Physicists are not the Saints and they are prone to cheating and do cheat no less than anyone else. The level of possibility for cheating by any professional is defined by the level of the social corruption. In the Soviet Union scientific cheating was a widely spread phenomenon including physics. In particular, USSR’s science cheaters declared the genetics and computer sciences as the “whores, serving international imperialism”. In the Nazi Germany they disregarded“jewish science”. Well, it seems that we have established a new model here in the democratic “first world” countries: 1. government controlled funding of science and 2. squeezing major fraction of scientific research into the educational environment (universities) in average known to be unequipped to perform scientific research and full of petty politics. Only in the US the number of graduate schools required to conduct research is near 2500 with the faculty fighting for relatively small funding pie. In average, they will do anything to win the funding. There are more than 20,000 PhD physicists in the US, all of them in their proposals “prove” that the research they propose is of the Universe importance. Perhaps, the statement of “few bad scientists” and majority of honest scientists is an unfounded wish. After all, what is the difference between “analyzing” the data in Mann’s style and fantacizing the “Greater Impact” of your proposed research. “Not very convincing, are they? Works on theoretical physics BUT supports CAGW. At the APS website I see in bold blue type: “APS Council Overwhelmingly Rejects Proposal to Replace Society’s Current Climate Change Statement.” It would appear that they recognize current the controversy but strenuously deny that it has any impact on the real ground truth in this case. As long as this degree of support remains in the general scientific community, I believe it will be hard for skeptics of the putative Carbon Dioxide Crisis to have their views taken seriously by the world at large. I do not use the term “Climate Change” because I think it makes no sense to argue that the climate has not changed. That is not the real issue at stake here. No they don’t. That rejection occurred over a week before Climategate. Here is a good story on this topic – well done CBS! OK Roger, I took the website at face value. As long as all the leading scientific organizations continue to say that anthropogenic carbon dioxide is a dangerous threat to our environment and continued survival, (The Carbon Dioxide Crisis aka Climate Change) the President, Congress, the EPA, and the Supreme Court cannot be faulted for attempting to avert this putative looming danger with draconian measures. It will be very helpful if/when these organizations start backing away from their prior endorsements. Here’s an analogy that our side can use to counter the claim of consensus scientific endorsement: 25-some years ago, didn’t “science” endorse the alarmist myth of heterosexual transmission of AIDS? Wasn’t dissent considered an outrage? Weren’t we all at risk? The answers are Yes, Yes, and No. But somehow this embarrassment has fallen into the memory hole, probably because the MSM was fully complicit in it and wants to let that dog lie. I think this analogy is a very powerful counter, because it shows how “science” can be hijacked and/or intimidated by fervent and fashionable (progressive) activist groups. It also illustrates that many fence-sitters will keep quiet because they approve of a crusade’s ancillary accomplishments. In the case of AIDS alarmism, many middle-of-the-roaders approved of the encouragement of condom use. In the case of CAWG, many luke-warmers like the idea of decreasing our dependence on foreign oil, encouraging the use of public transit and more insulation, making a symbolic gesture of respect to mother earth, etc. This silence also contributes to the illysion of a consensus. This story was just covered on Fox News (Bret Baier) with a sympathetic tone and listing the credentials of the folks on the dissenting list. Nice to see them picking up on it! I believe these scientific organizations should have reality of their endorsements challenged to make sure they can show that they are based on known fact, not rubber-stamp echoes the IPCC in the name of doing something good for the environment. If this whole science were eventually proved to be invalid, it is remotely conceivable that these organizations might even be held legally responsible for a portion of the resulting social damage. Lindzen is one of the most respected scientists critical of AGW. Since many of the posters emphasise that he is an MIT atmospherics professor, presumably because of the credibility that gives him, they may want to consider the opinions of Prof. Kerry Emanuel and Prof. Ron Prinn also in Prof. Lindzen’s department at MIT. See this recent debate on the effect of the release of the private emails from CRU at MIT (mitworld.mit.edu/video/730 ). As for the APS statement flap, the proposed change in the statement was categorically opposite the original. A valid debate would be whether the executive committee should be issuing statements on behalf of the membership at all and request the retraction of the statement. But to suggest keeping the statement but completely changing it’s content is a bit disingenuous. In addition, using lists of members emails in the way that was done here without going through APS itself is a violation of the terms of membership. And finally, a point of physics to Papa Swamp, former APS member. Since he is presumably a physicist with an understanding of basic chemistry, he certainly knows the the products of burning hydrocarbons are CO2 and H20 (and CO and some other minor products depending on incomplete burn and additives). Note that the hydrogen is all in the water. No more H20 is produced per unit energy content release burning H2 than gasoline (approximately of course, there are life cycle issues and completeness and efficiency[effective temperature] of burn to consider). What makes gasoline so good is the number of hydrogen bonds per unit volume it has. H2 has a big problem in this regard.